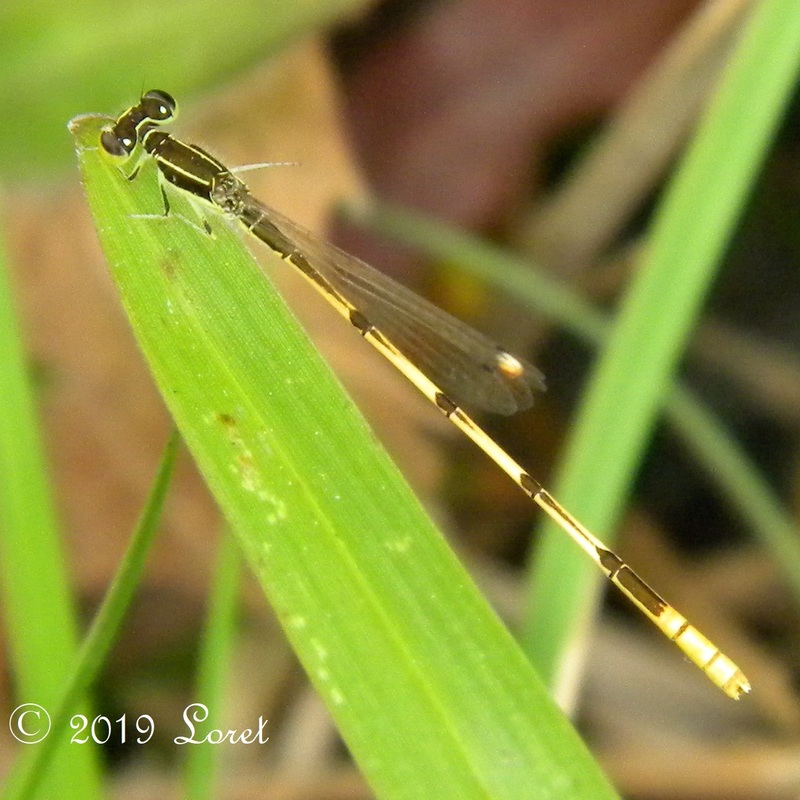 smallest damselfly in North America. Predatory in both larval and adult stages. This male landed on a blade of grass. This male was flitting back and forth from emersed rushes and sedges along the edge of the pond. It is difficult to identify to species without getting into their personal business. Female. Dragonflies are predatory in both adult and larval stages. Leave some taller, dry plant debris or thin dead branches as perches. New to my buggy lifelist. Not often observed as it flies at dusk and dawn. motorists was perhaps the most noteworthy of all those made. have caused its appearance in collections to be necessarily rare. still alive from a gutter beside a parked car, on October 21st. These guys and gals are always perching about 5-6 feet off the ground and surprisingly away from the pond area. Leave some tall, dried vegetation or thin dead branches as a landing site. This one was hovering and landing in the brambles of the Florida Native Plant BLACKBERRY (Rubus sp.). Dragonflies are predatory in both adult and larval stages. Leave some taller, dry plant debris or thin dead branches as perches.